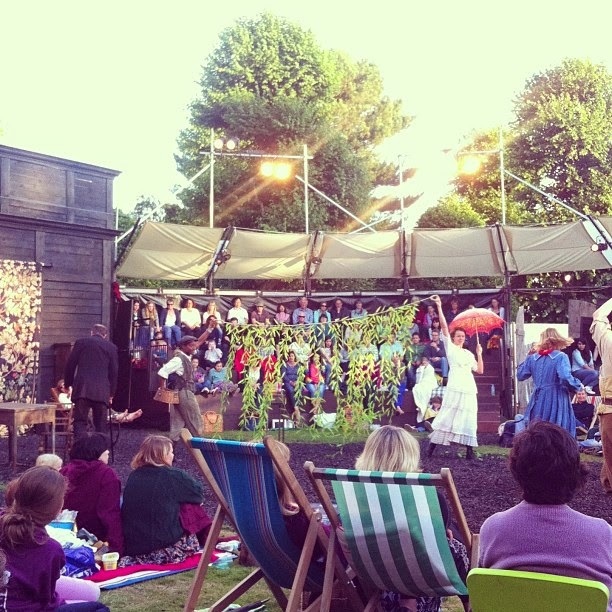 Last Wednesday was my 25th birthday, and to celebrate my family & I went to see a splendid performance of The Secret Garden (a childhood favourite) at the beautiful Grosvenor Park Open Air Theatre. 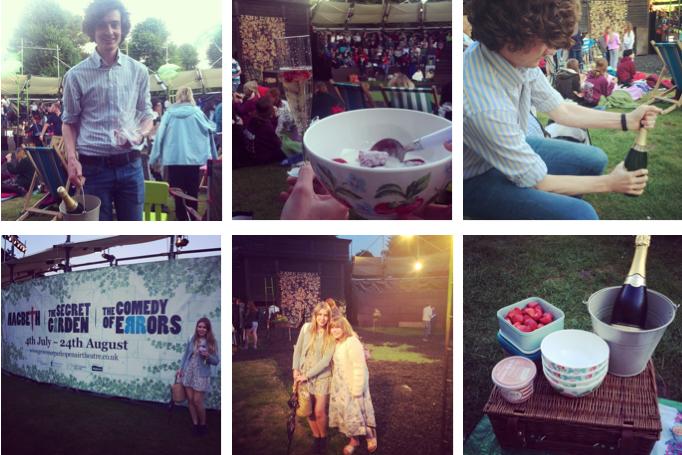 We sat on the Picnic Terrace which gave us a lovely overview of the set, but you can reserve Picnic Spaces on the lawn or even VIP Deckchairs! I would advise to take lots of cushions and blankets so that you're comfortable for the perfomance, and perhaps even an umbrella (as it is England, after all!). The performance itself was just perfect, I'm not a drama critic or have an relevant experience reviewing a play - so I'm not going to pretend to! But it was just delightful, and very enjoyable to all members of family, young and old. During the interval we enjoyed fresh strawberries & cream with our special bottle of prosecco. And as the sun started to set, the audience began to snuggle under blankets to enjoy the end of a wonderful perfomance.